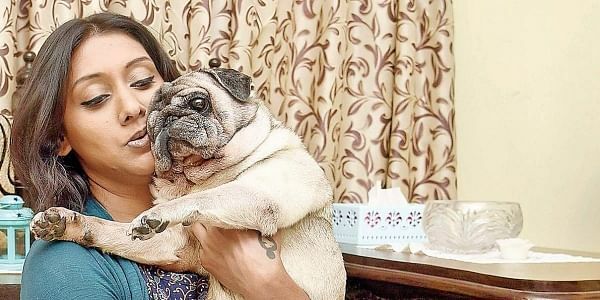 CHENNAI: With two pugs (6 and 9 years), Vaishnavi Prasad, a city-based freelance media consultant needed help with care while she was away from home — especially for the elder, Sumo, a blind and partially deaf dog with osteoarthritis and spondylosis. Her usual pet boarding facility Hotel for Dogs, requested her to find another place, due to their age and ability policy for boarded pets. She found an alternative at Heart2Heart Veterinary Hospital (H2H), Santhome, which offered to board Sumo with medical supervision. Apart from the normal sulking due to separation, most of the updates that Vaishnavi received from the hospital during her vacation showed a seemingly okay Sumo. However, when she and her mother turned up unannounced at the hospital last Thursday, they were shocked. “We found him sitting in a diaper soaked to its ends,” she recalls. “There were dry bits of faeces stuck on his fur, with lesions on his thigh and scrotum. The water bowl was empty, there was no attender at the time, and we discovered that most of the diapers we had given for him were unused. Besides the weight loss, the trauma has taken its toll on my happy boy,” she recounts. Vaishnavi posted her pet’s ordeal on Facebook, which went viral and received several comments from pet owners and rescuers who had had similar experiences. Santiago Xavier, a pet owner, draws attention to the shoddy documentation of vaccinations at the hospital. “Records from H2H did not have the vial seals or a doctor’s signature, which technically make them invalid,” he adds, as he shows us his pet Ozzy’s medical file. Sai Kiran, a pet homestay provider, tells us about his numerous efforts to contact Glennie Samuel, manager of the hospital, to settle the exorbitant fee charged for the treatment of his paralysed rescue, Appu, in vain. Vaishnavi and several others corroborate this story, explaining how the authorities have been careless about runaway rescues and about alleged instances of negligence at their premises. City Express tried getting in touch with the management for a comment, but they remain unavailable for interaction on call and on ground. A Google review for the place by city-based journalist and author Nandini Krishnan suggests that her rescued labrador who was boarded there came back with a torn ear from an in-house fight, to which Shravan replies, “Owners also tend to go a little overboard sometimes. That fight could have been much worse and our staff intervened soon enough.” Cloud No9, a nursing and rehabilitation centre run by Dinesh Baba, also boards animals to meet rescue needs over a one-ground premises. He draws our attention to the licensing of such establishments. “We have to register with the corporation and the income tax office, primarily as a business and not as a welfare organisation. No one actually goes around checking if all follow the same,” he says. There is a silver lining, thanks to the new breeders’ regulations. Meher also draws attention to the number of homestays that are booming across the country and the complete lack of documentation of such businesses. “Who regulates how many animals can be boarded and any faults therein?” she avers, pointing to the consumer court as a possible means of compensation. Antony Rubin, an honorary animal welfare officer of the Animal Welfare Board of India, adds, “The board’s hands are tied because it is essentially a regulatory body and not an enforcing body.” He underlines that complaining on social media gets you nowhere. “Everyone wants midnight availability, a few concessions on the fee and meds; so it shuts them up. If you have an issue, complain. Write to the AWBI and make sure people who need to hear about the issue actually do,” he opines.